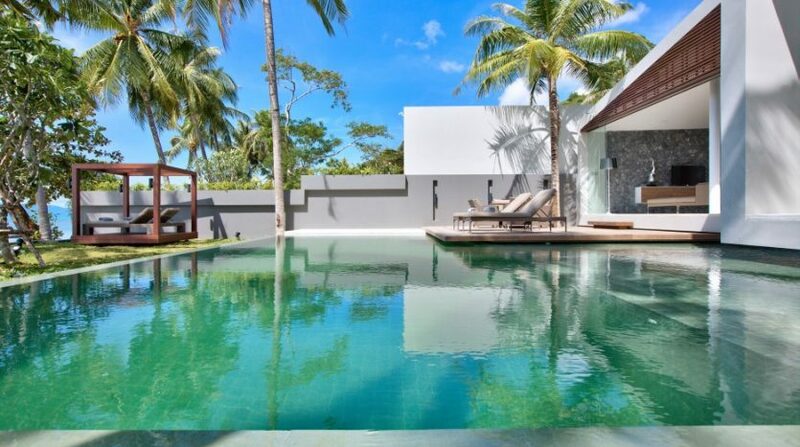 $ 800 / day min. 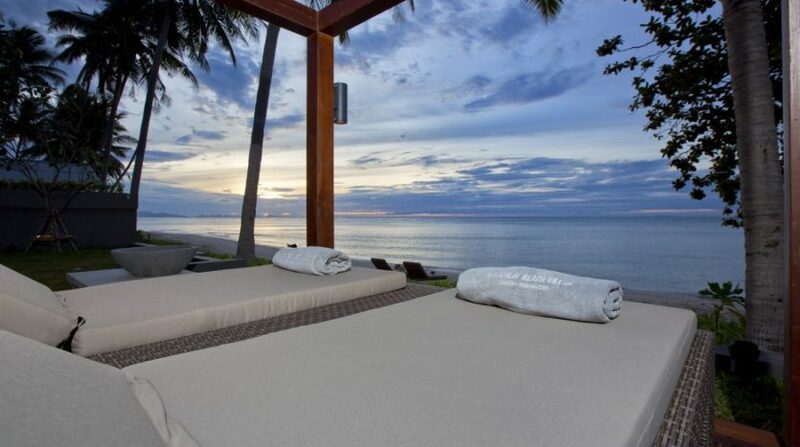 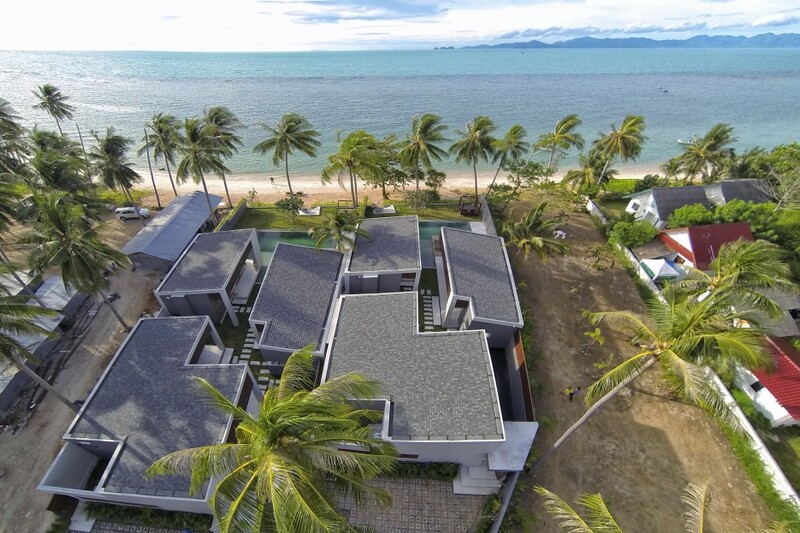 This spectacular 3-bedroom property is situated on the Laem Noi Seaside in a secluded cove, in a safe and gated beachfront estate. 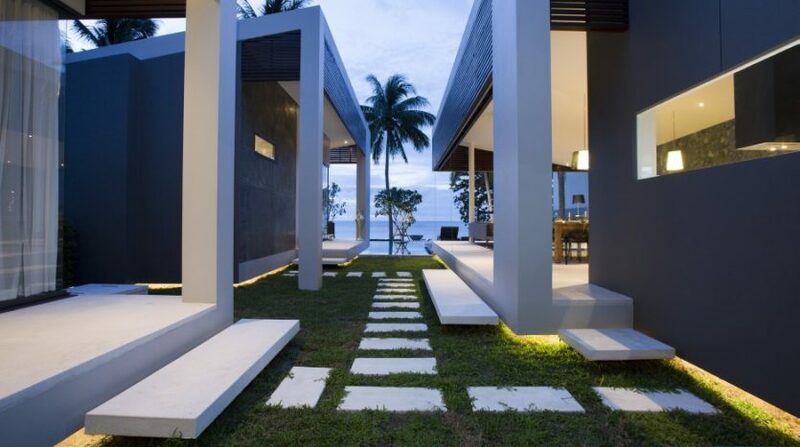 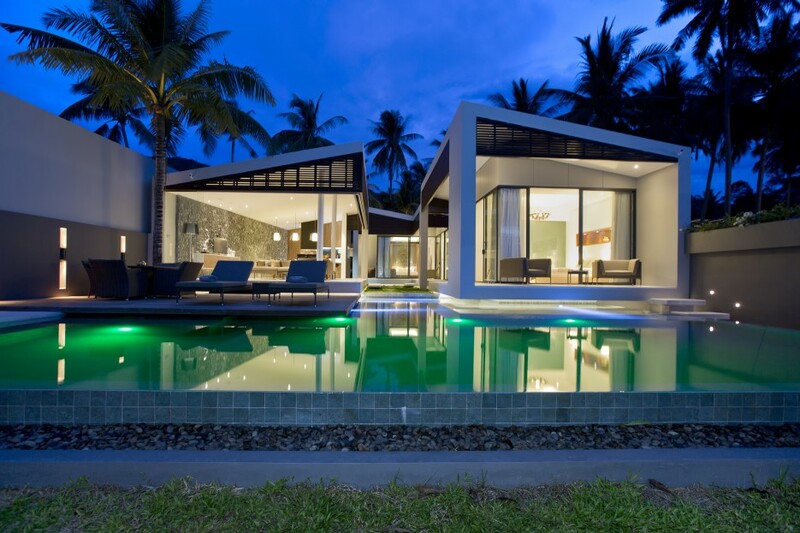 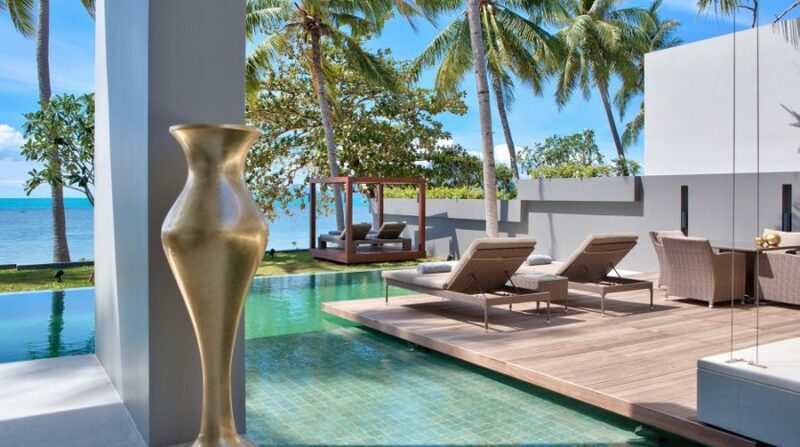 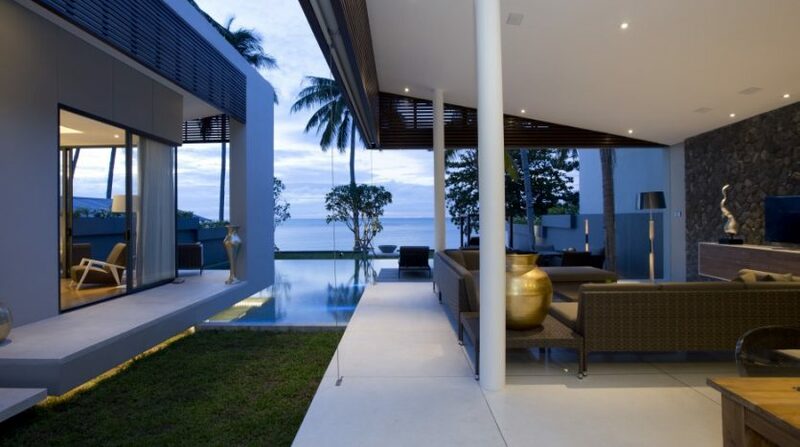 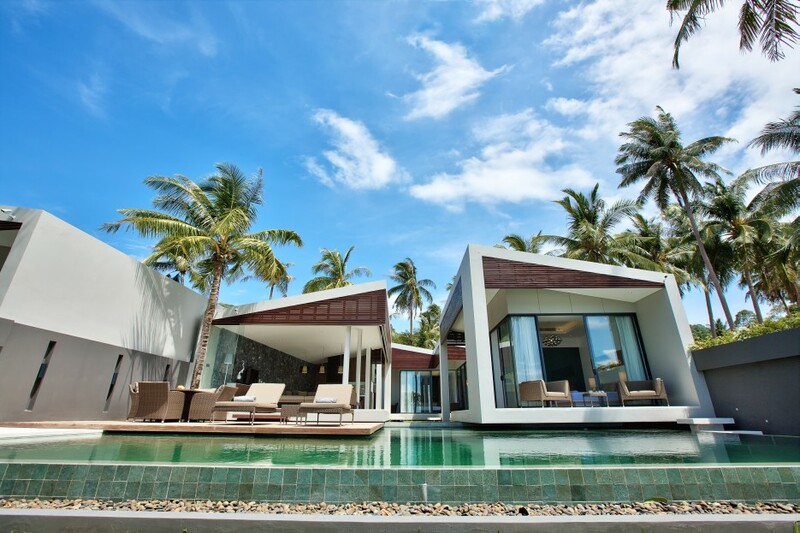 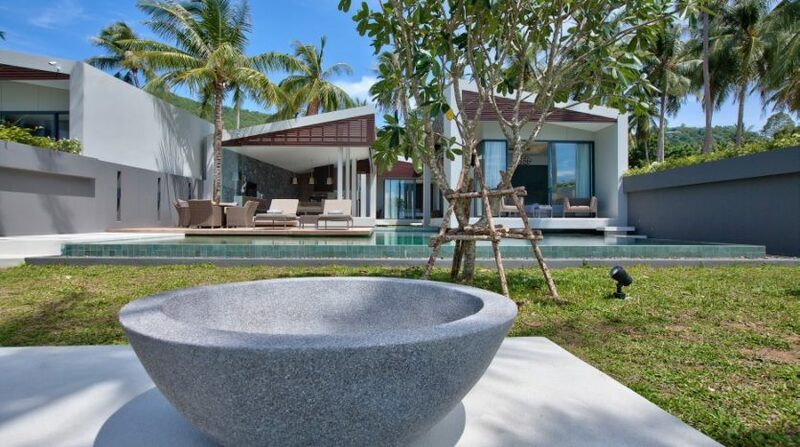 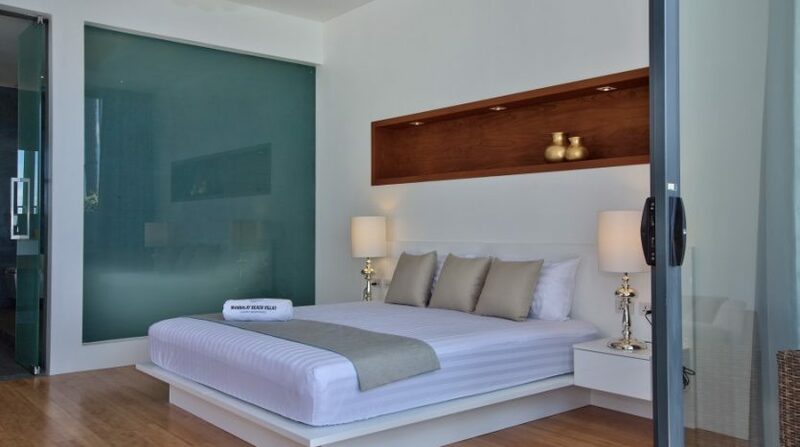 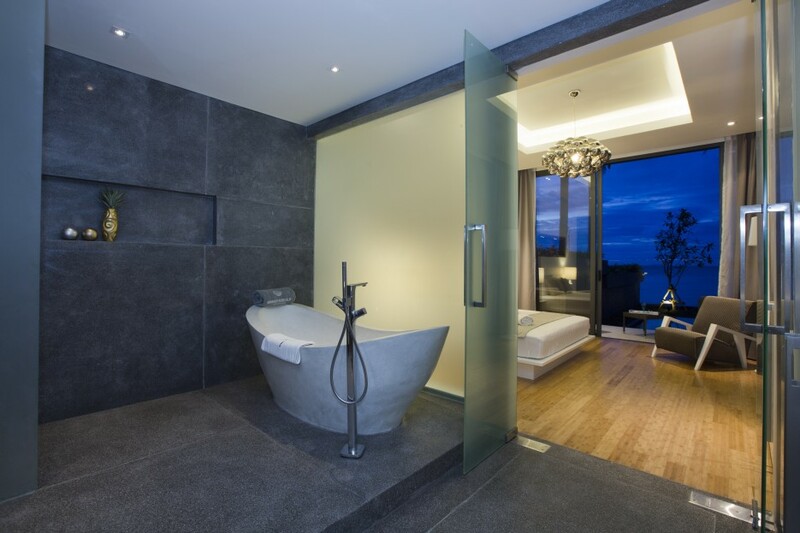 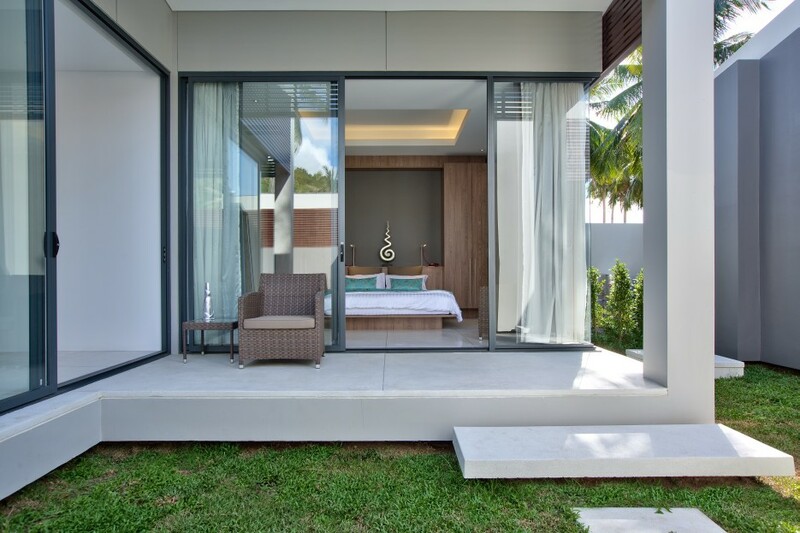 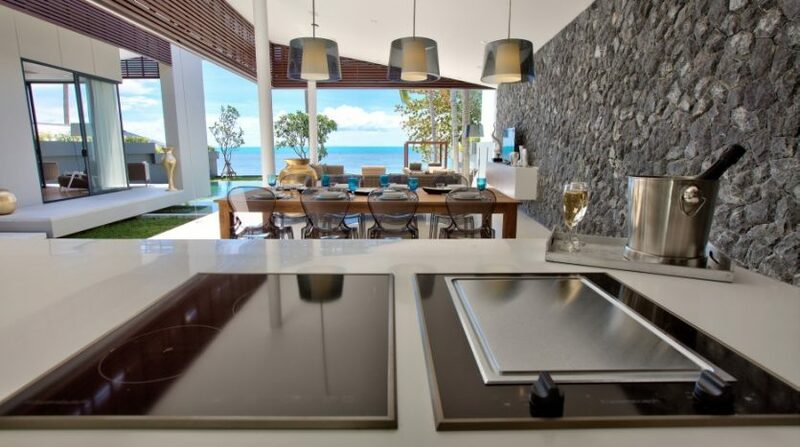 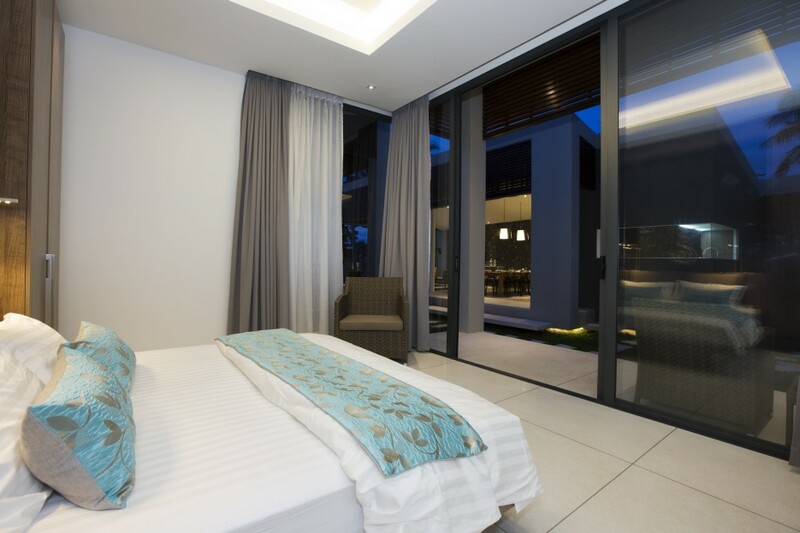 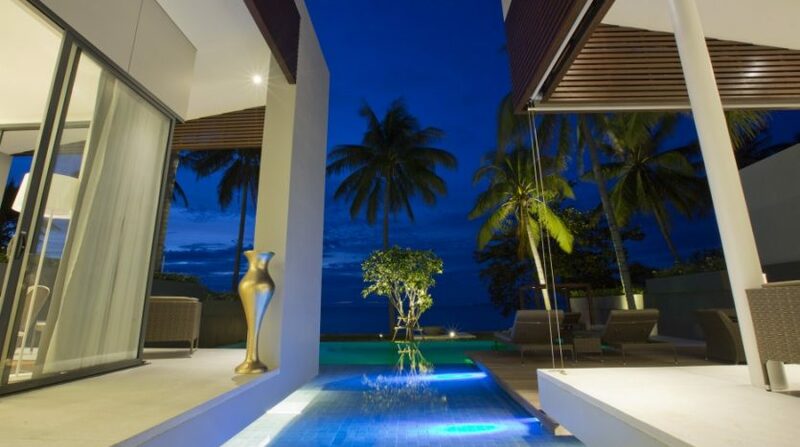 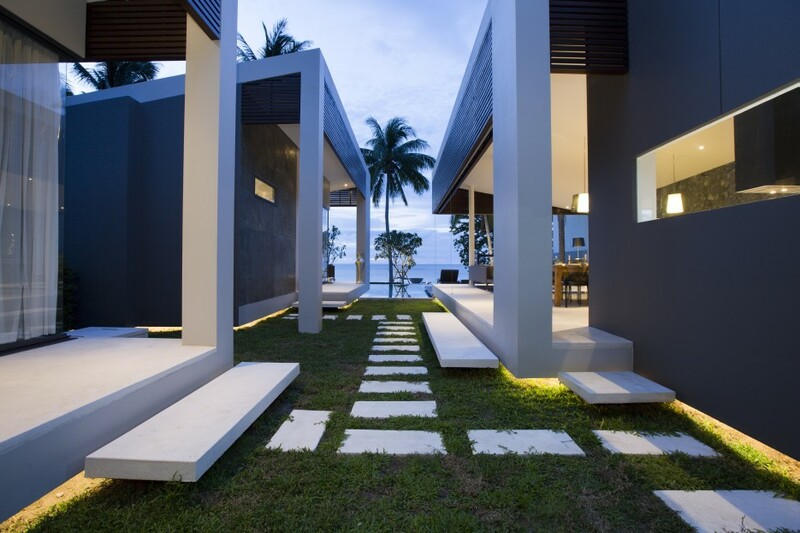 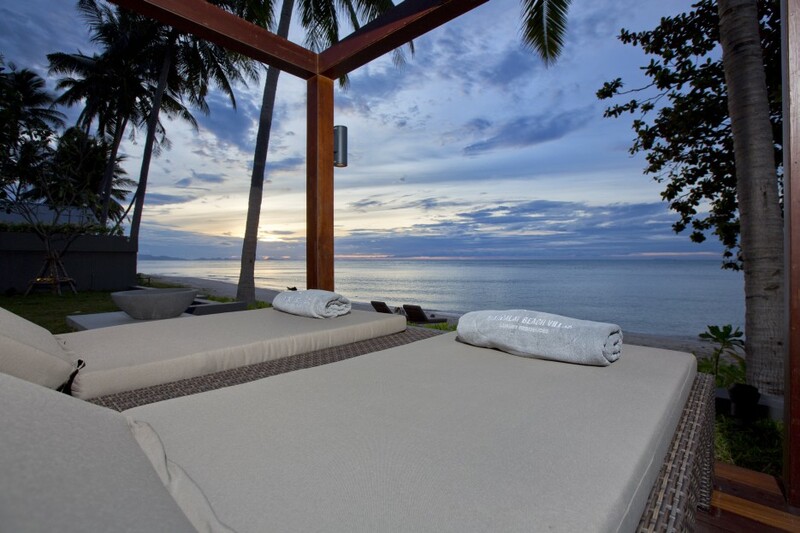 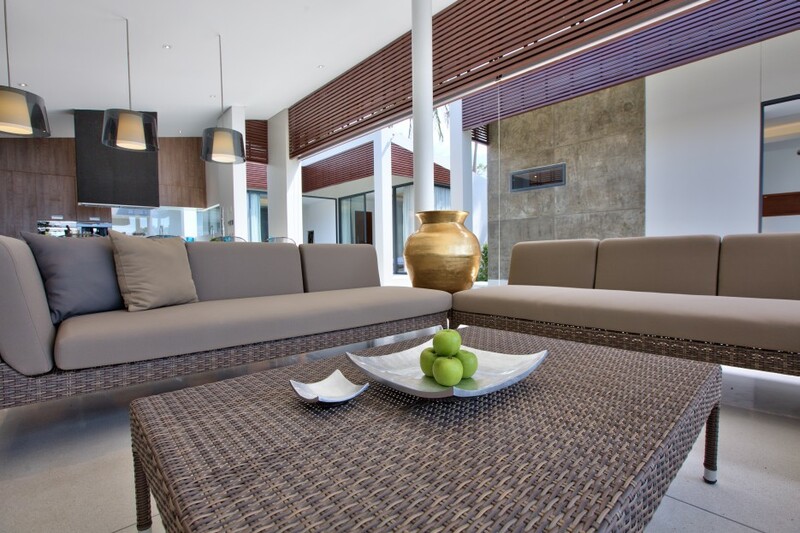 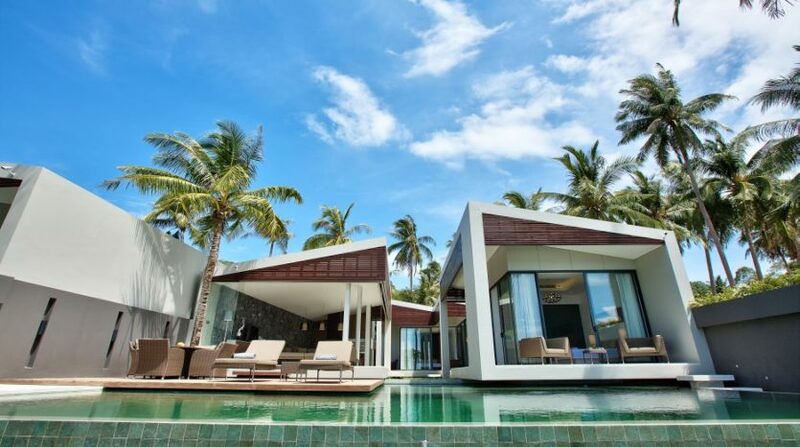 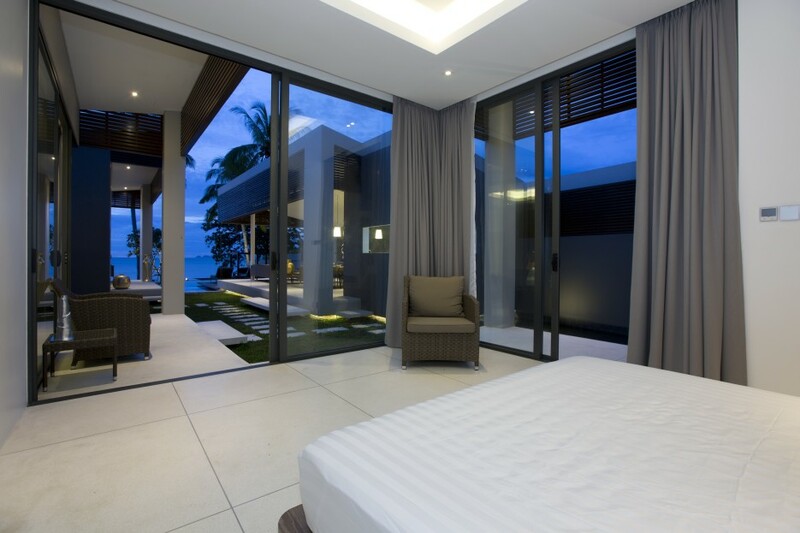 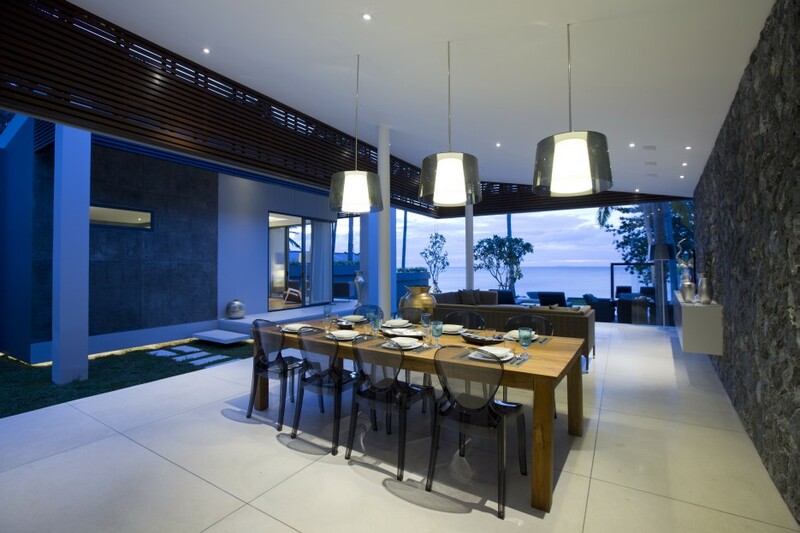 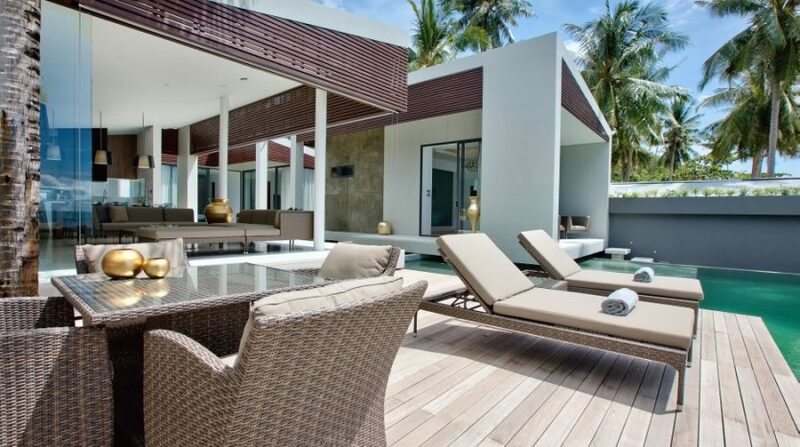 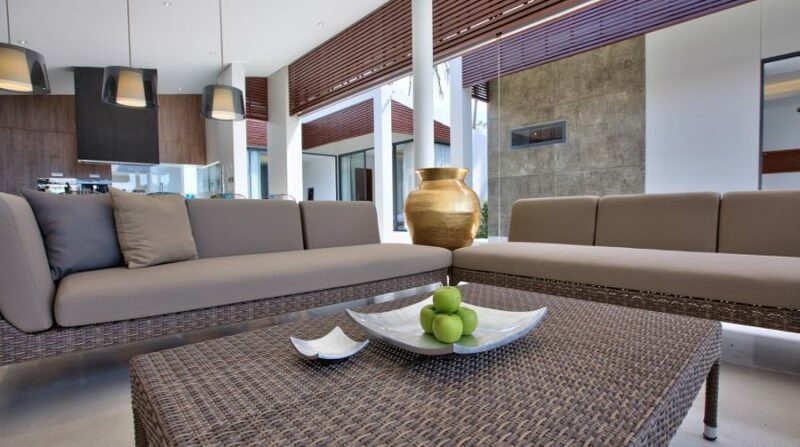 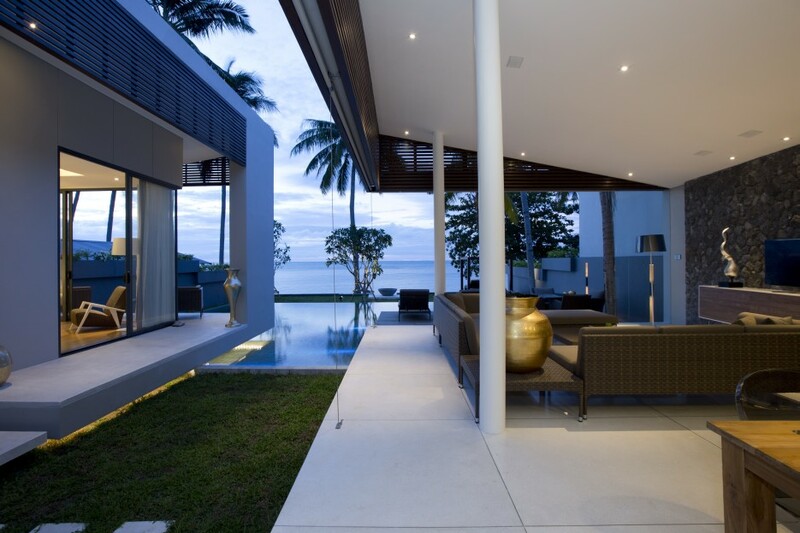 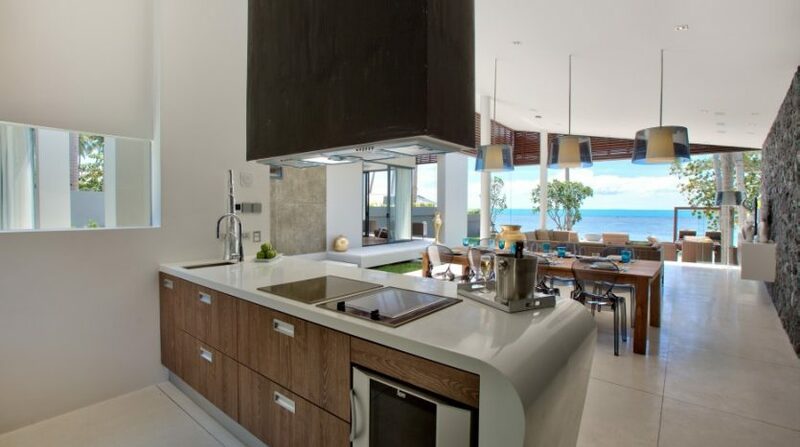 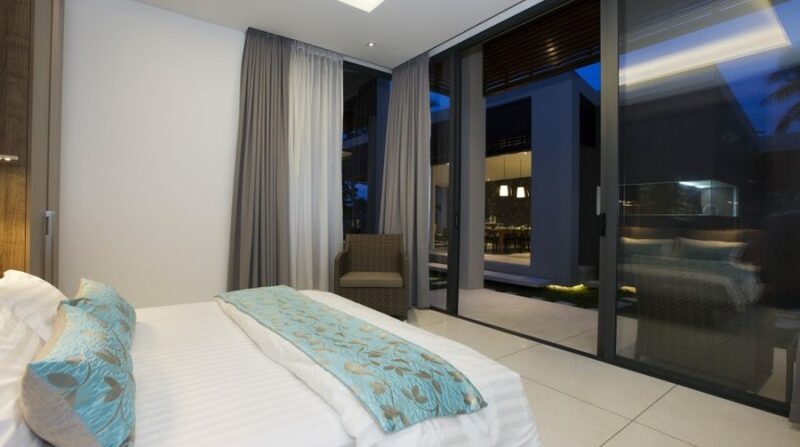 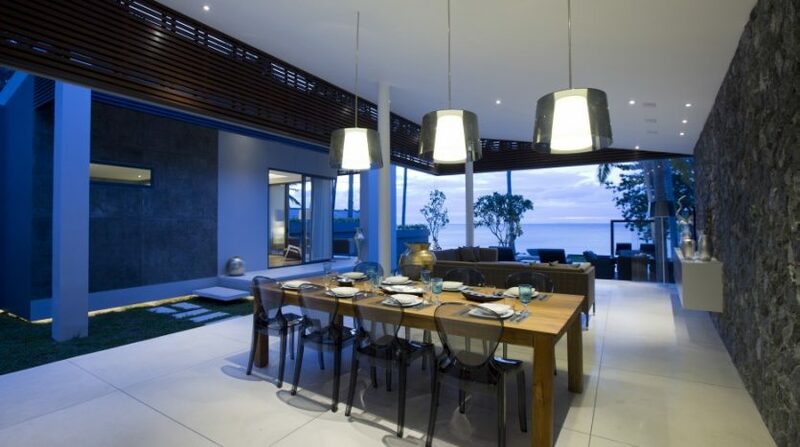 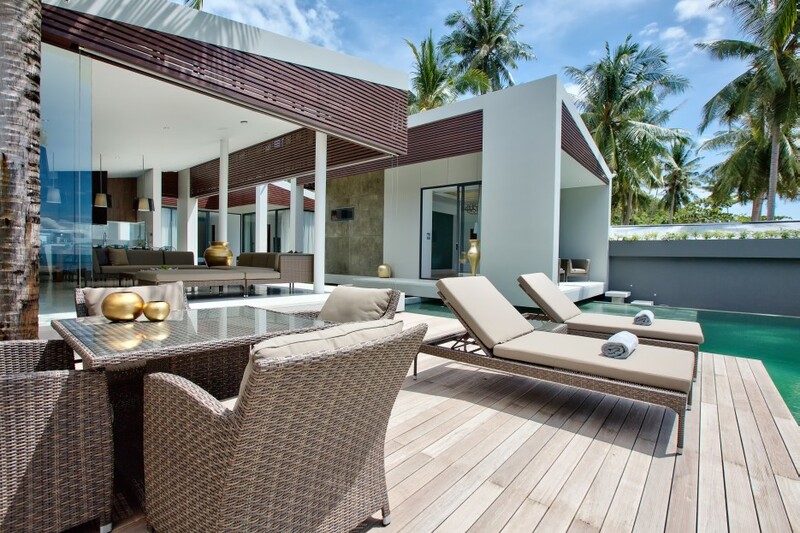 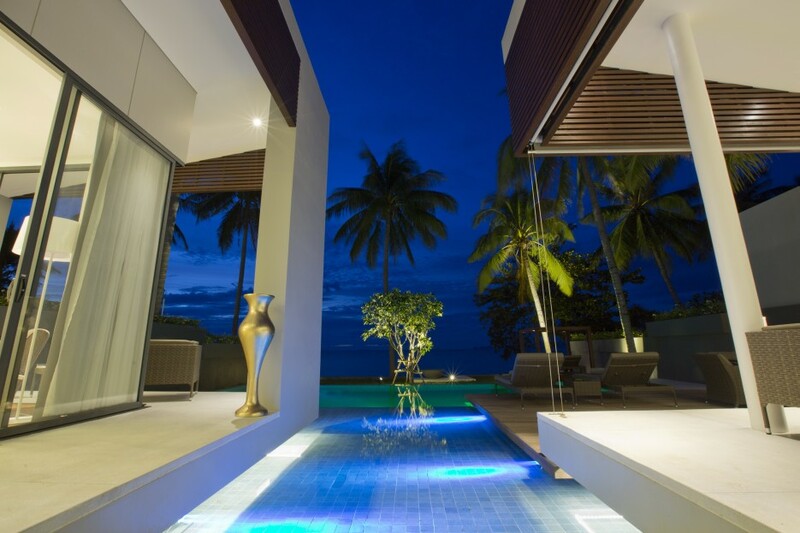 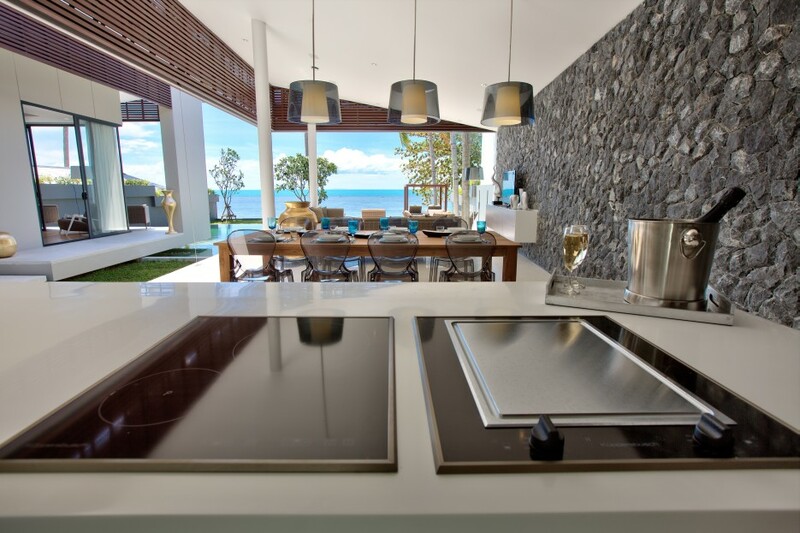 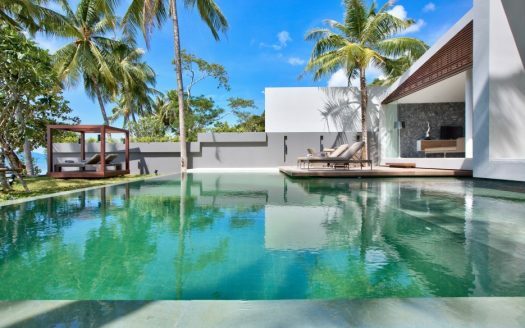 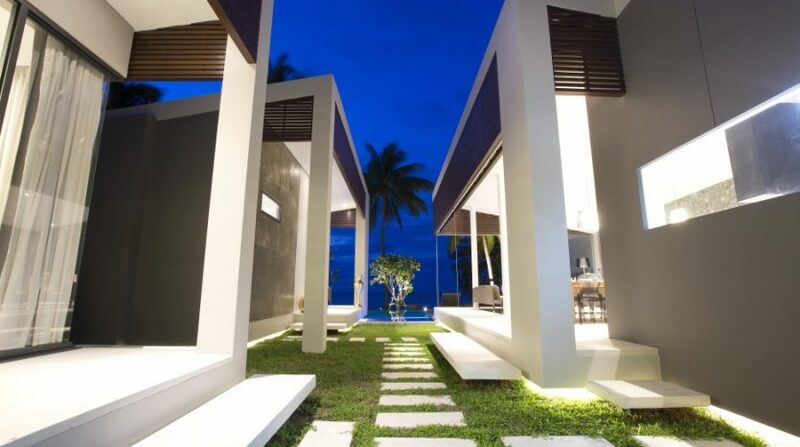 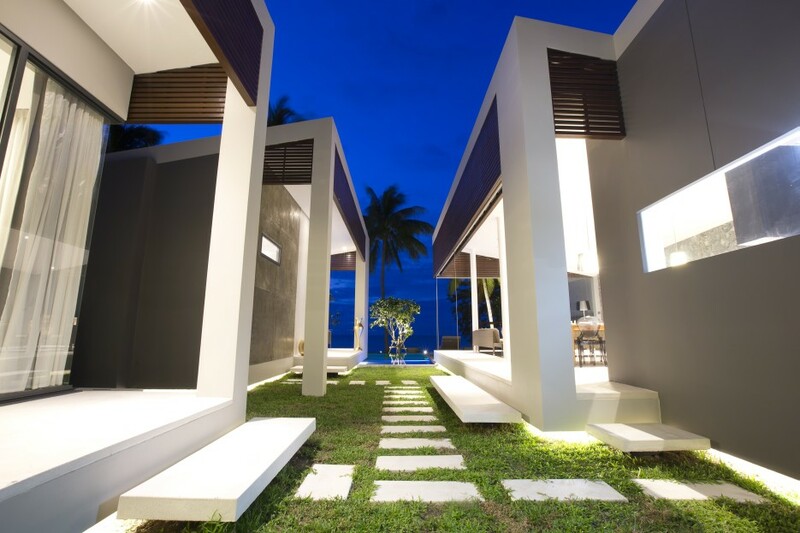 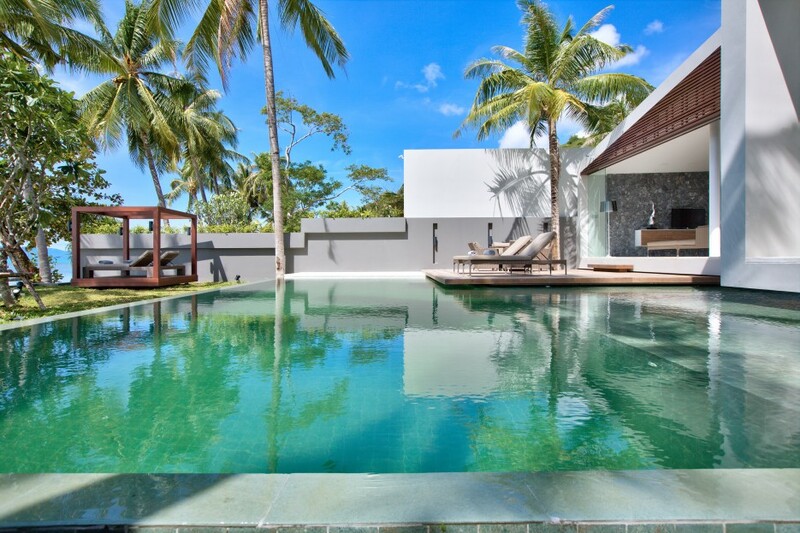 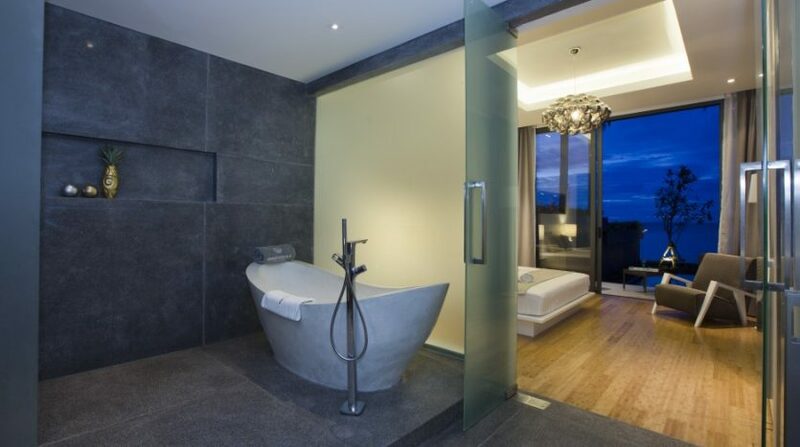 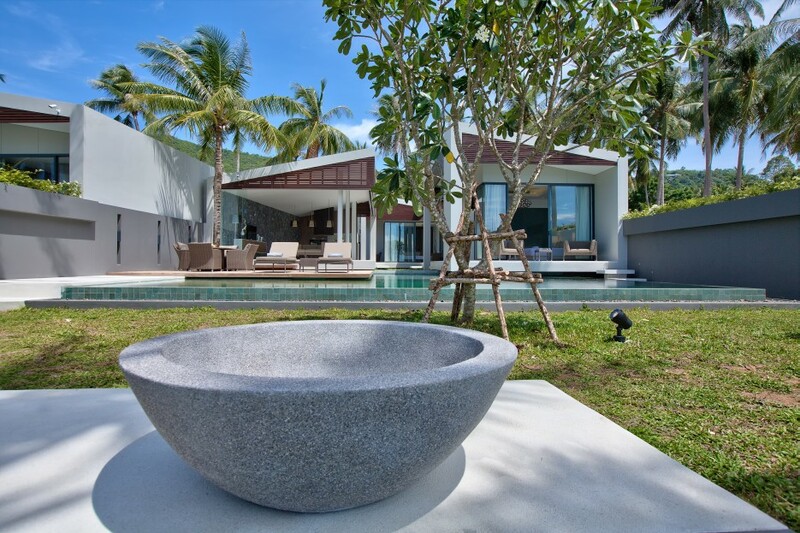 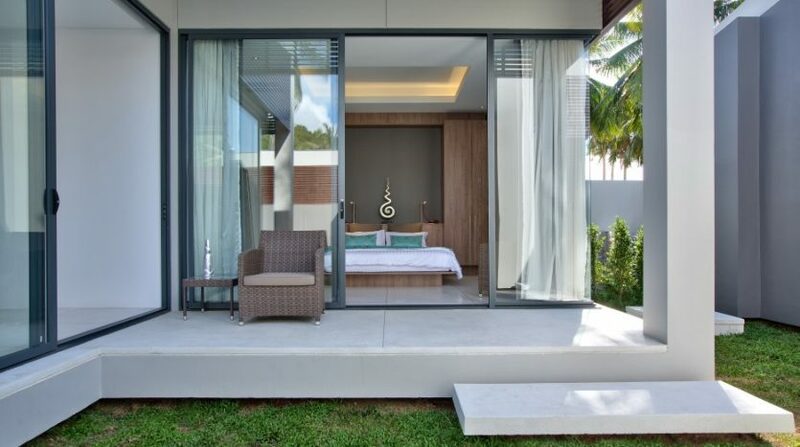 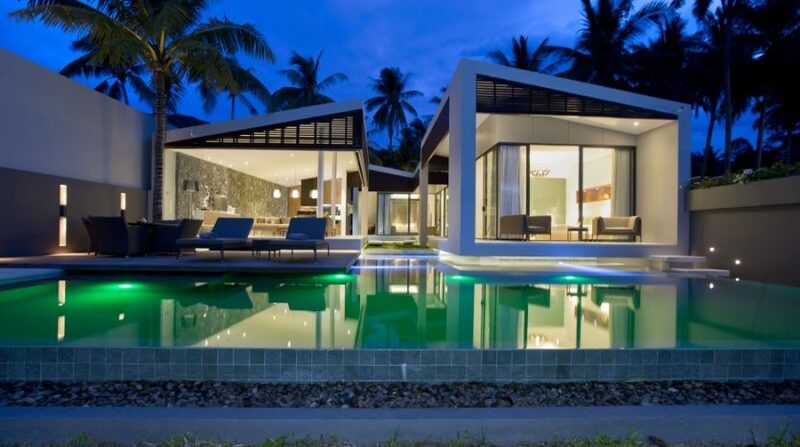 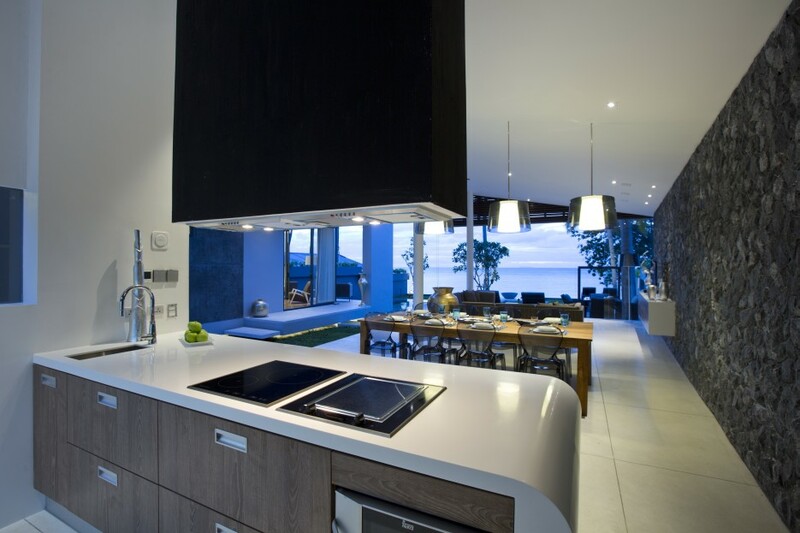 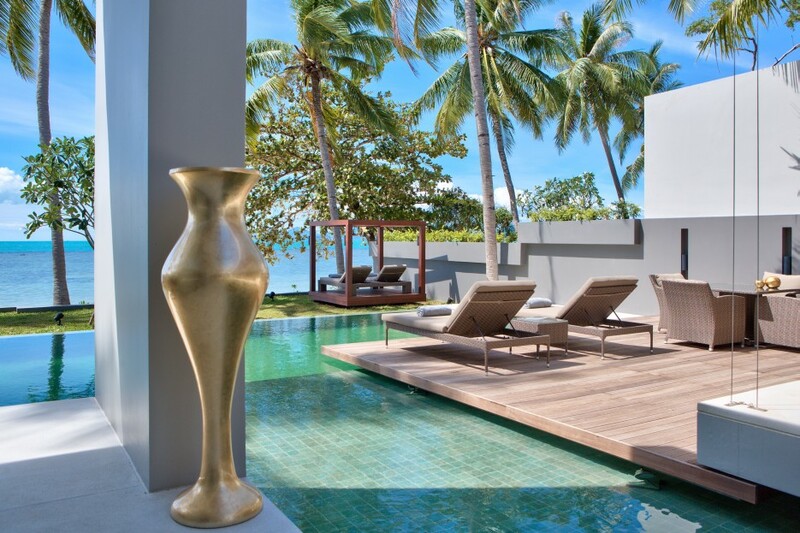 Villa Nueng is the result of a remarkable and, innovative architectural expertise. 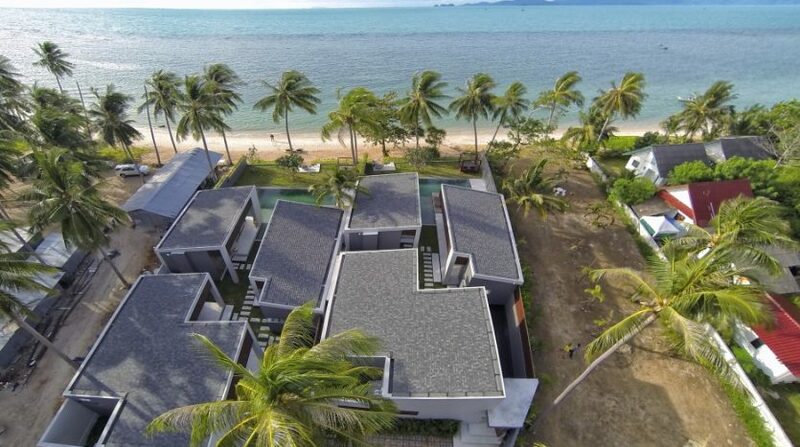 With a unique and cohesive layout esthetic throughout, this luxurious villa with three bedrooms faces the beach. 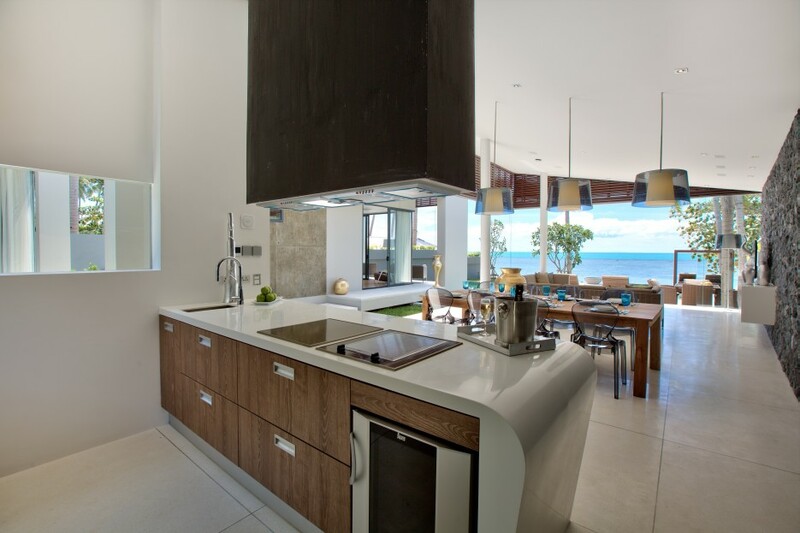 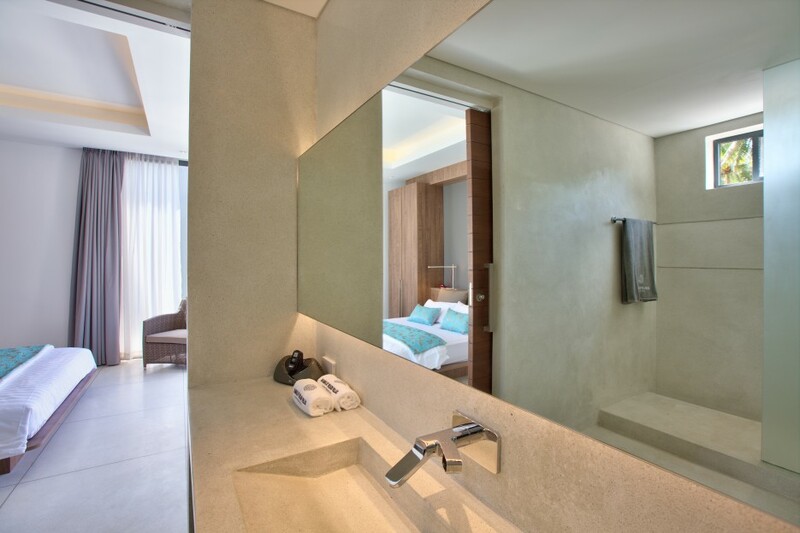 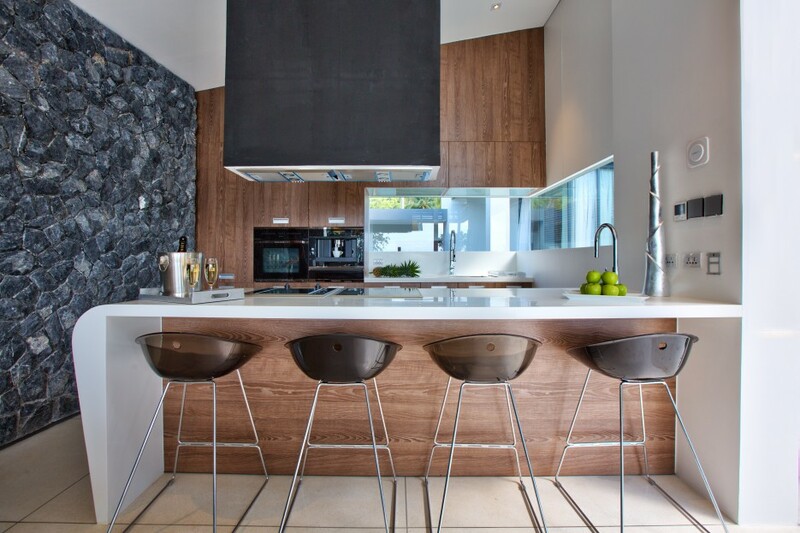 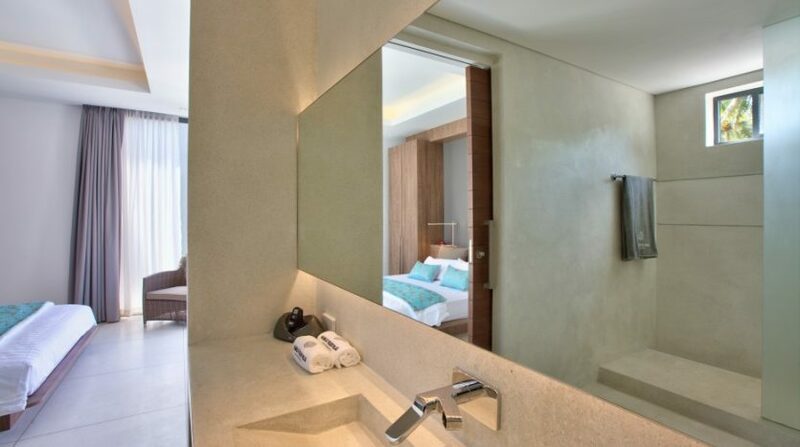 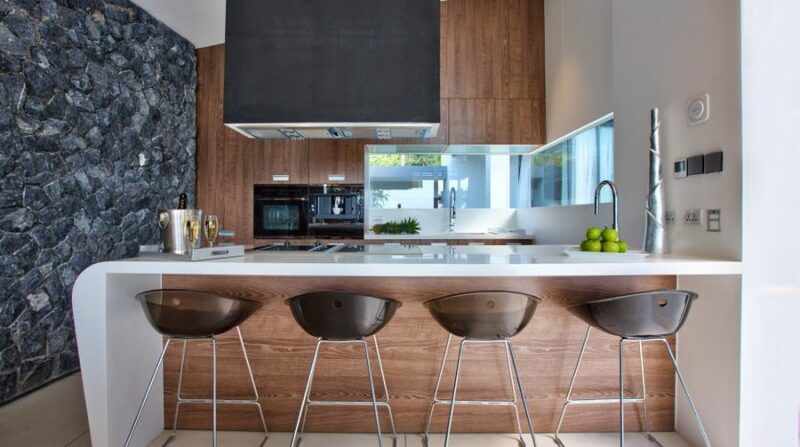 It’s a remarkable harmony between shape and utility, contemporary in style and matching the tropical setting. 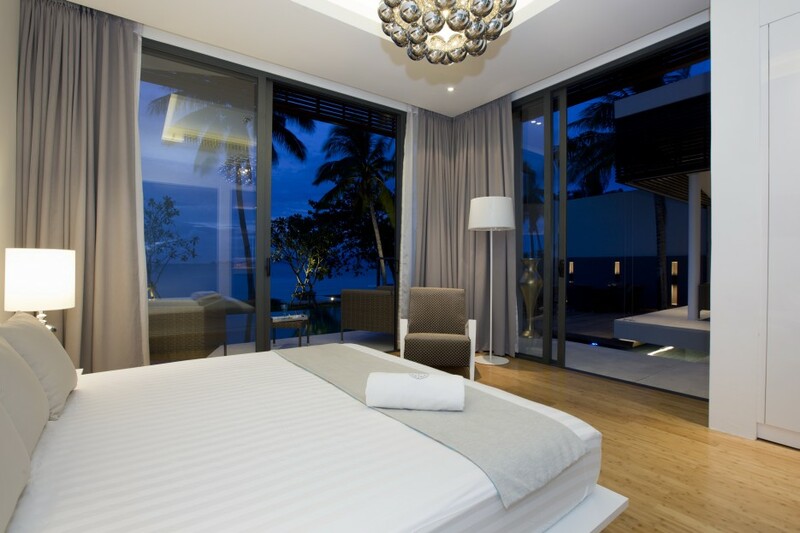 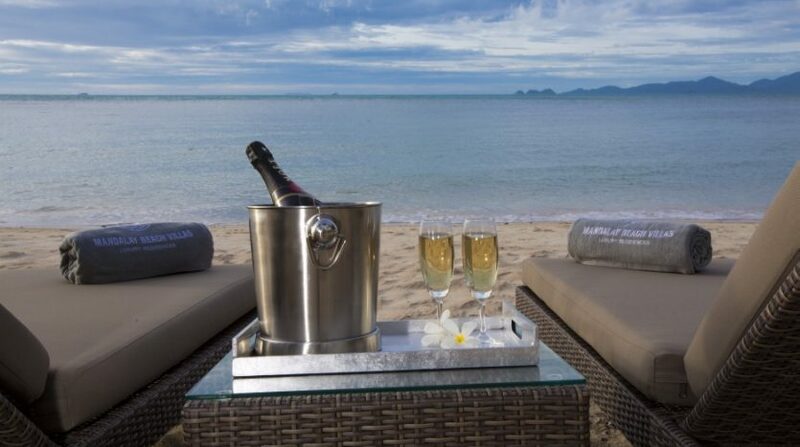 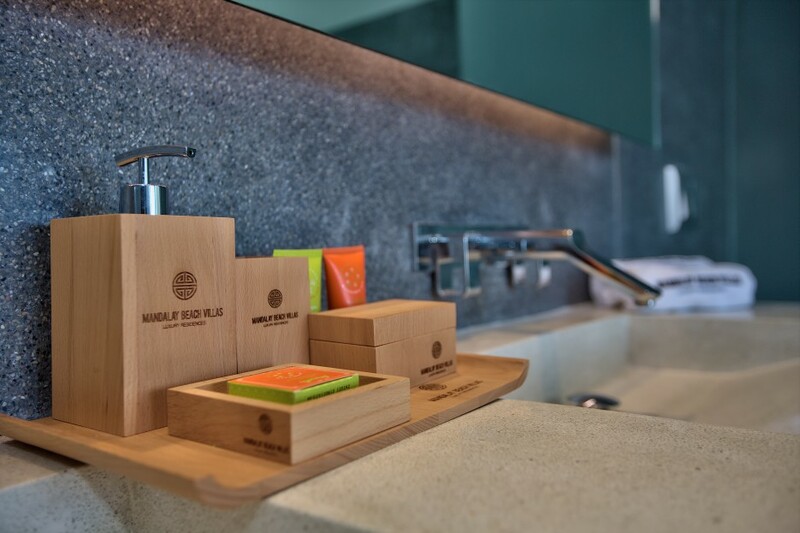 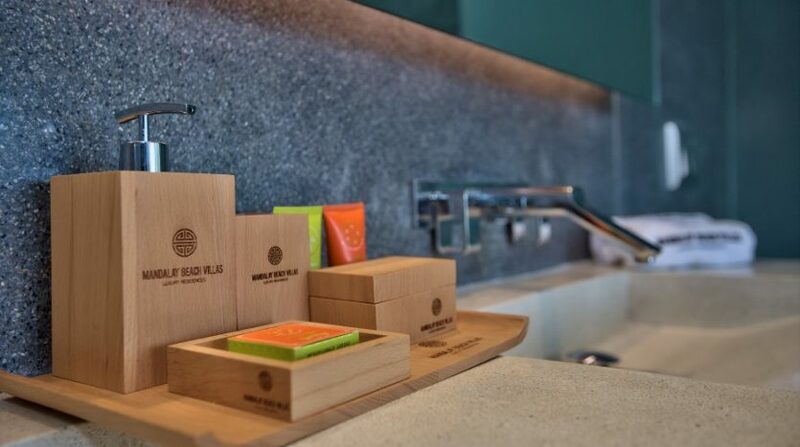 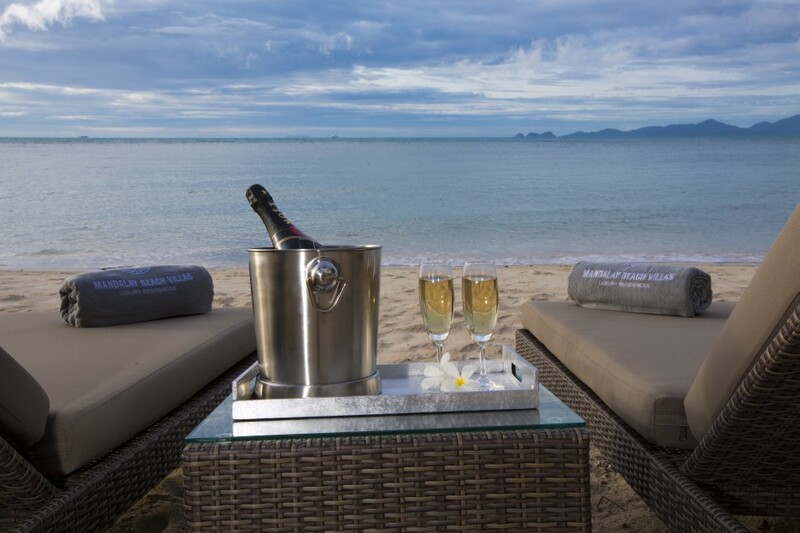 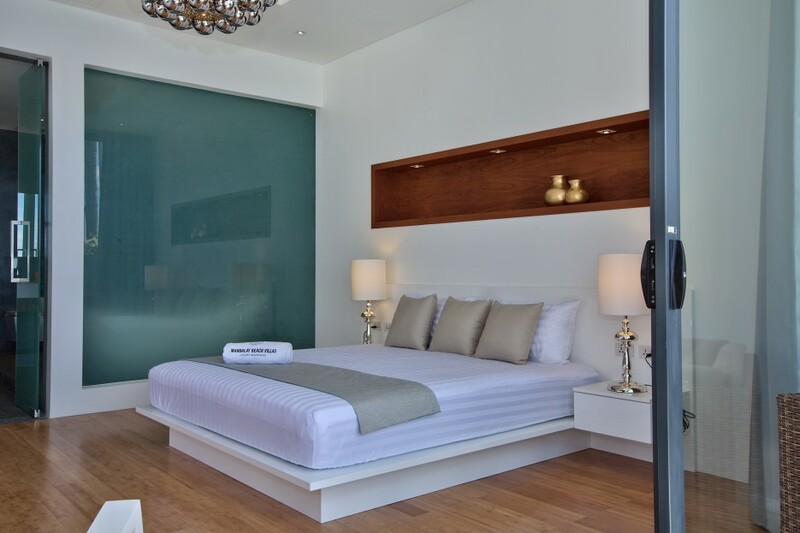 Discerning vacation and leisure travelers can enjoy not only comfort but top class facilities. 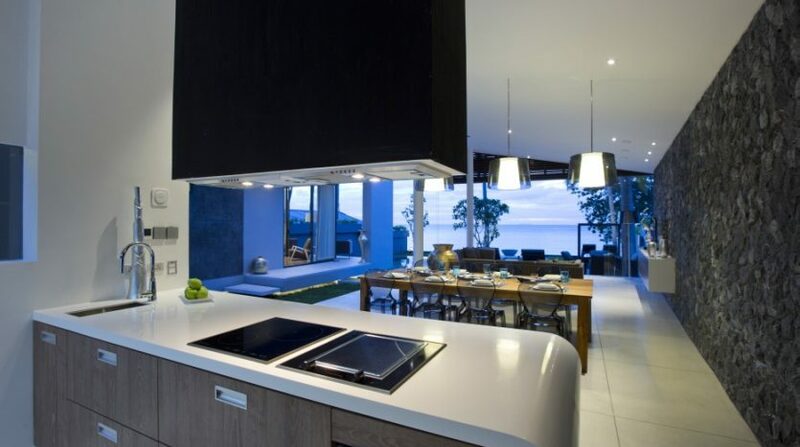 Advanced electronic equipments, designer furniture, and five-star support are the highlights. 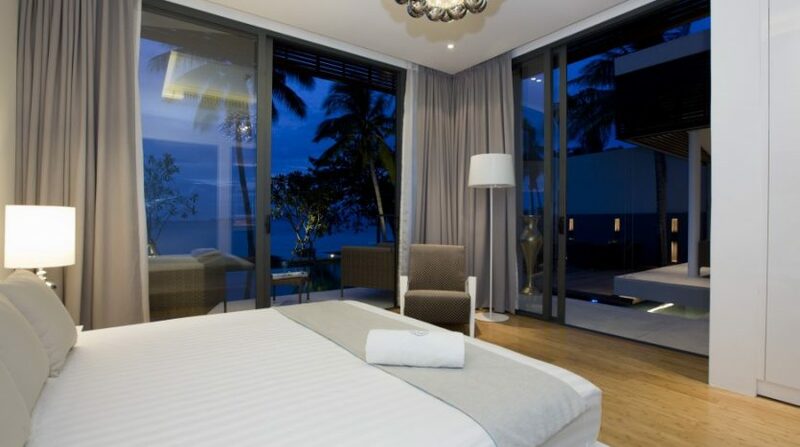 Price: $ 800 / day min.